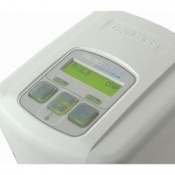 CPAP Machines or Continuous Positive Airway Pressure Devices include a variety of CPAP, APAP and BiPAP devices. All of these devices use a variety of airway pressure delivery systems which act as a splint to keep the airway open. If you have Sleep Apnoea it is important your airway is kept open while you are sleeping to prevent the complete or partial obstruction to your airway. CPAP stands for Continuous Positive Airway Pressure (CPAP). 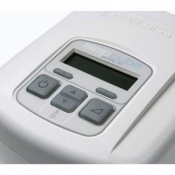 A CPAP machine is a pump which delivers air at an increased pressure. It delivers a fixed or constant pressure all night long. There are also APAP and BiPAP machines available. You can read more about these devices here. In Sleep Apnoea the upper part of the air passage behind the tongue narrows and collapses during sleep which then causes an interruption to breathing. 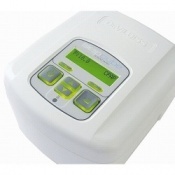 CPAP treatment is designed to stop the air passage from narrowing or collapsing during sleep. When this occurs during the night, the brain signals the body to wake up so breathing can normalise. When you are prescribed and fitted with a CPAP machine for CPAP Therapy by a Sleep Specialist, the flow of air from the CPAP therapy creates a splint which keeps the airway open. Once this airway is kept open, breathing is completely normal and there are no interruptions to sleep. If you have been diagnosed with Sleep Apnoea; CPAP lets you take the first step in reclaiming your health. Quality sleep is imperative for your overall physical and mental well-being. If you have any questions about our range of CPAP Machines available to order on Sleep Apnoea Services, please contact our Customer Care on 020 7720 2266 and we will be able to assist.